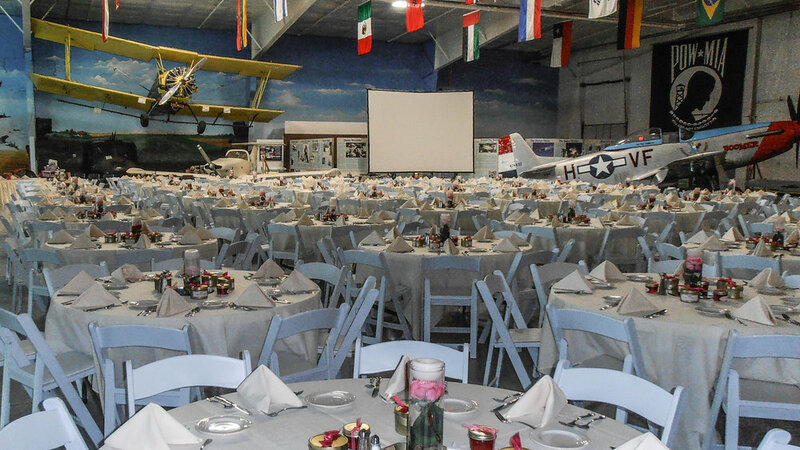 Who could forget a wedding where you had the opportunity to dine and dance among historic legends of the sky? 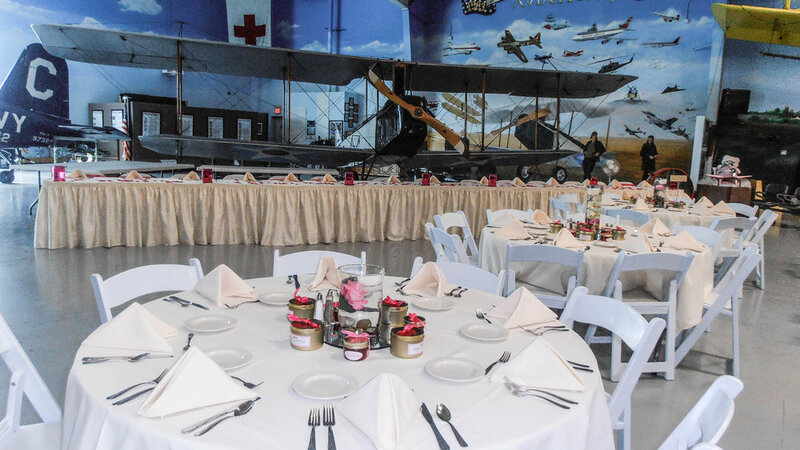 Your guests will not only get to spend a lovely evening with family and friends celebrating your vows, but they’ll also have the unique freedom to explore our aircraft exhibits. 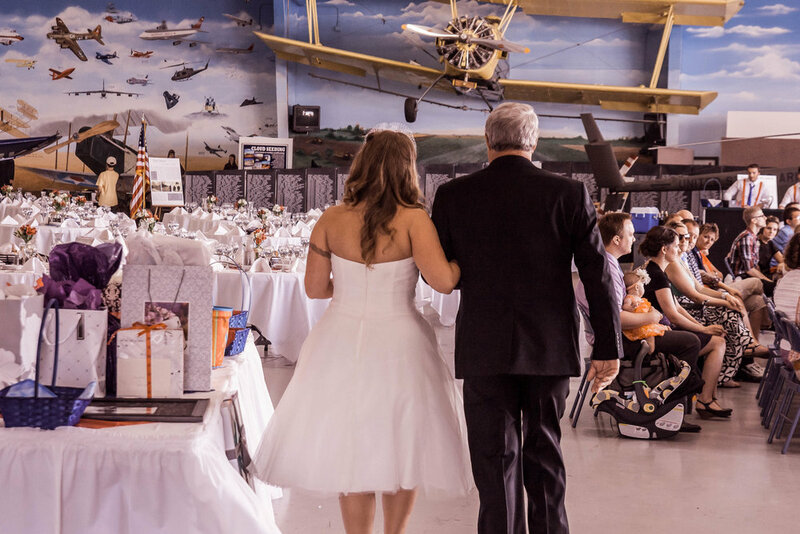 You’ll have plenty of stunning backdrops for your one-of-a-kind wedding photos and the floor-to-ceiling windows on the south wall of our building offer a beautiful view of the wild blue yonder. 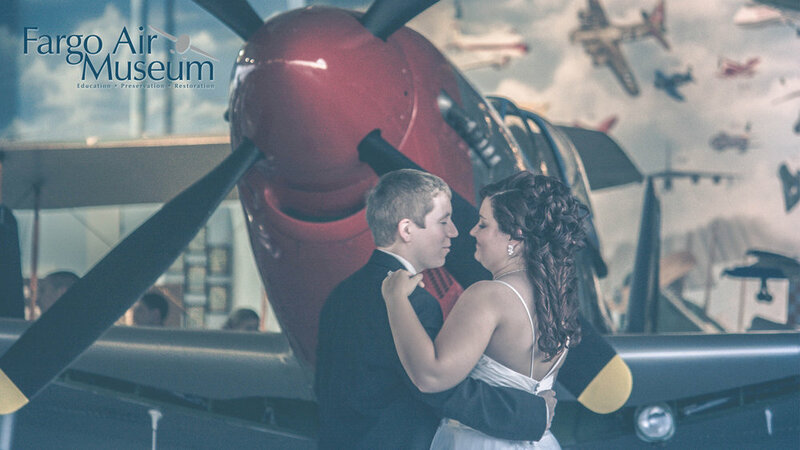 For anyone with ties to aviation, there is no better location for your special day. The package does not include flowers, table decor or a specialty cake.